Blog > Agile Testing > Not Convinced Yet About “Shift-Left Testing”? If you work in the software industry, you’ve most likely heard about “shift-left testing” from conferences, blog posts, industry publications, co-workers, etc. With Agile practices (including TDD, BDD, and CI) and DevOps increasing in popularity, “shift-left” is the answer to how QA fits in, making them a reality in your organization rather than merely aspirations. Making this shift changes the view of testing- instead of traditional QA, it transforms into QE: Quality Engineering. 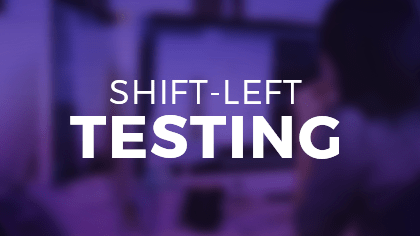 What is Meant by Shift-Left Testing? Shift-left testing refers to the integration of testing activities with development, beginning sooner in the development cycle, rather than later as in traditional software development environments like waterfall. To be successful today, a tester has to not only be great at testing, but also be an engineer of the Agile testing process. This means working together with development and operations and analyzing quality during every stage of development as shown in the graphic below. For example, testers have to jump in and take a more proactive role even before development starts by being present during the gathering of requirements. Instead of waiting weeks to add code to that of the rest of the team, do it every day, or even several times a day. Instead of manually performing all the tests, automate and run them every day, or even several times a day. Instead of detecting problems at the end, analyze quality as the development progresses. Why Make the Shift if You Haven’t Yet? In this post, we’ll provide just three main benefits of shifting left: reduced costs, increased efficiency and quality, and gaining a competitive edge. One of the aims of Agile testing is to detect errors as soon as possible. What we mean by as soon as possible is: as soon after the exact moment in which the error was inserted into the system. When testing is done with every build (especially during unit testing), the errors that are found are smaller, easier to detect and locate, and also, less costly to fix. Assuring the quality as we go also means eliminating the tremendous costs and the unnecessary work of having to go back and re-do certain things. For more information on how much money it saves, read this post on the ROI of test automation. Beyond these benefits, being able to start testing sooner invariably results in more quality, as testers are no longer rushing to find all the errors at the end. Shifting left your QA gives you a competitive edge in two ways: you can speed up time to market and attract top talent. As we can all agree that it is important to deliver software more quickly, it also shouldn’t be rushed out the door. Shift-left testing answers the problem of accelerating development without sacrificing quality. Secondly, shift-left testing is what software developers and test engineers expect today of their organization, officially becoming mainstream with over 66% of IT workers reportedly using Agile or “leaning towards Agile” methods. And, it’s not surprising that one of the key findings of the State of Software Testing Report 2015-2016, 55% of testers reported they were already doing or wanted to implement Continuous Testing and Continuous Integration. Therefore, if you want to be an attractive employer or at least on par with the rest, it is important to adopt the modern practices that both testers and developers want to master in order to stay relevant in today’s labor market. 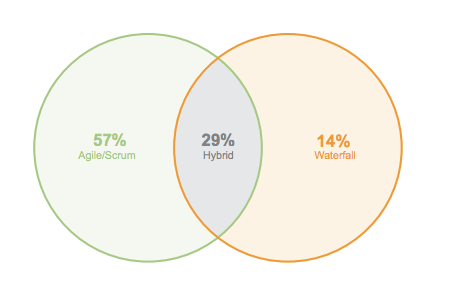 Maybe you have heard all of those benefits already, but you are STILL not convinced about shift-left testing for this reason: you’ve seen that even Agile teams can face the same bottlenecks as seen in Waterfall. The solution he provides that we agree with is utilizing service virtualization. Service virtualization emulates the behavior of essential components that will be present in production, enabling integration tests to take place much earlier in development. This is how you can eliminate that key bottleneck, while also benefitting from eliminating errors earlier on. Along with service virtualization, you have several tools to set up your automated systems and CI such as Jenkins, CruiseControl, Bamboo, and TeamCity, which all have web management interfaces. Or, you could go with a cloud solution like Amazon Pipeline Code, TravisCI, CircleCI, Codeship, and Microsoft’s Visual Studio Team Services. Just having these tools in place does not ensure a successful shift and does not imply quality engineering. There are several preconditions and a level of testing maturity that must be reached in order to achieve Continuous / Agile / Shift-left testing. For example, a precondition for test automation would be having the appropriate test environments set up. Without this and several other preconditions, your shifting of QA to the left will be problematic, at the least. Is your team ready to shift-left? Take our software testing maturity assessment to find out! With Agile being the norm, shift-left testing is a key enabler for increasing quality and efficiency, reducing costs and risks, and staying competitive. In shift-left testing, everyone becomes a quality engineer and the responsibility for producing high-quality software is equally shared among the team. This ultimately results in a better product, shipped even faster. Awesome article…It would be more clear if the difference between Agile and shift left testing…Thank you so much. One problem I have is that Mind-Set of the Employer where they think that Testers / QAs are some-what lower than other job group;; thus, they will usually get less pay, less appreciated, and more like a pawn. Might just me, but that how I feel. I really enjoyed your article. I especially like the sentiment that QA can help Development with their unit testing. This concept is a hard sell to the QA team that feels overworked with their own testing tasks. Providing development scenarios that THEY can execute is the first step. Developers will find a way to automate those scenarios and voila — you have unit tests!